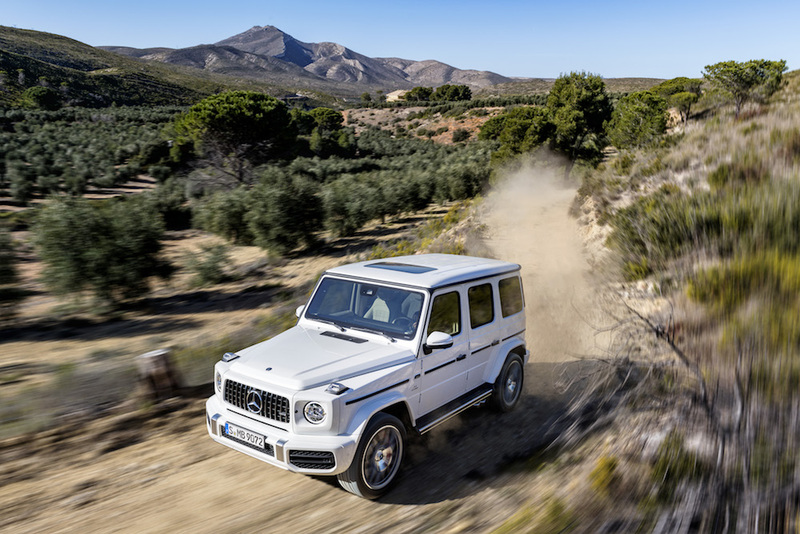 Mercedes-AMG has officially pulled the wraps off its new G63, and it's safe to say that it's everything we expected it to be, from the unadulterated off-road recipe to the bonkers powertrain and exuberant persona. 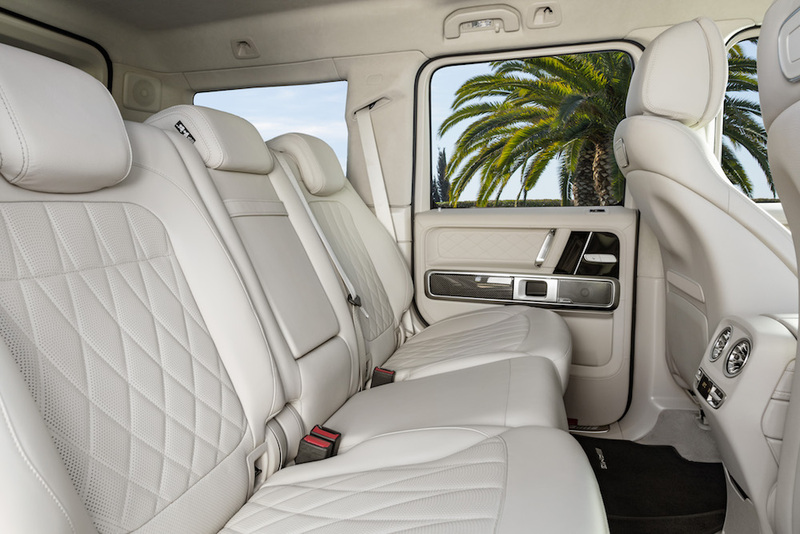 Mercedes went to great lengths to refine the new G-Class without messing with its revered character, much like my long-time favorite Mexican restaurant remodeled its dining room without screwing up its salsa verde recipe (thank goodness). As is the case with all AMG vehicles, the new uber-SUV boasts hefty performance add-ons that make it more capable than "standard" G-Class on- and off-road. 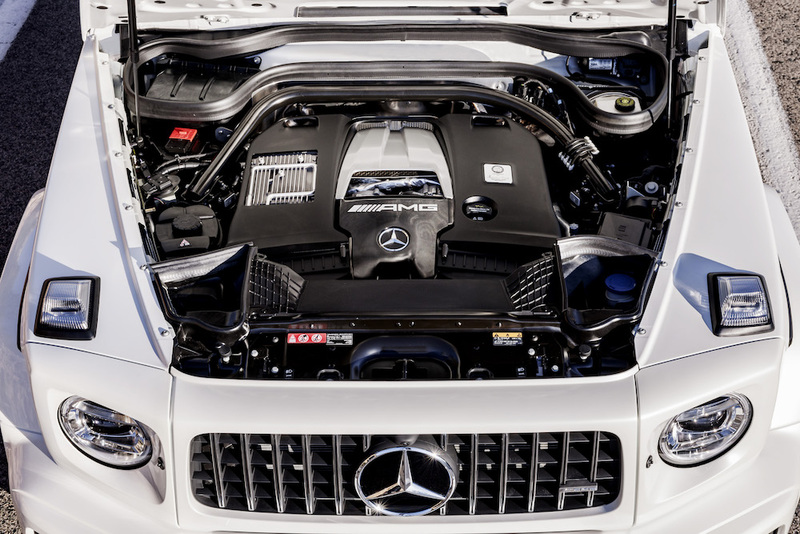 Under the hood lies a handcrafted 4.0-liter V-8 biturbo engine that produces a thundering 577 horsepower and 627 pound-feet of torque, which represents a difference of 161 horsepower and 177 pound-feet over the "normal" G550. 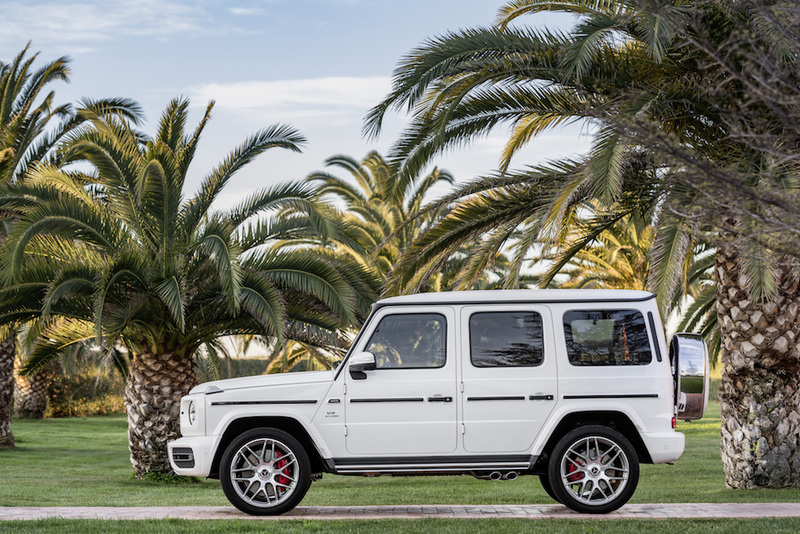 An AMG-specific nine-speed automatic transmission will perform the tricky job of translating all that horsepower to the ground while making the driver believe that the G63 isn't a heavy steel-framed beast. And while such figures may be great for long stints on the highway or towing the boat to the lake on the weekends, it's everything else under the military-style SUV that truly matters. Mercedes-AMG claims it developed an all-new front and rear suspension with coil springs all around in order to make the G63 more dynamic and comfortable than its predecessor. This also marks the first time the G-Class' front axle has an independent double wishbone suspension, accompanied by a rigid axle with a five-link setup at the rear. The purpose-built suspension delivers 9.5-inches of clearance to the rear axle and offers three adjustable settings: Comfort, Sport, and Sport +. It wouldn't be a "G" without a clever drivetrain, so the AMG Performance 4MATIC system delivers rear-biased torque distribution with a front/rear split of 40/60 percent, which is a big improvement over its 50/50 predecessor. G63 owners who put their machinery to the test will be able to engage low range at speeds of up to 25 miles per hour and switch from low range to high range at speeds of up to 44 miles per hour. Furthermore, the new front, center, and rear differential locks are electromechanically actuated and fully networked. 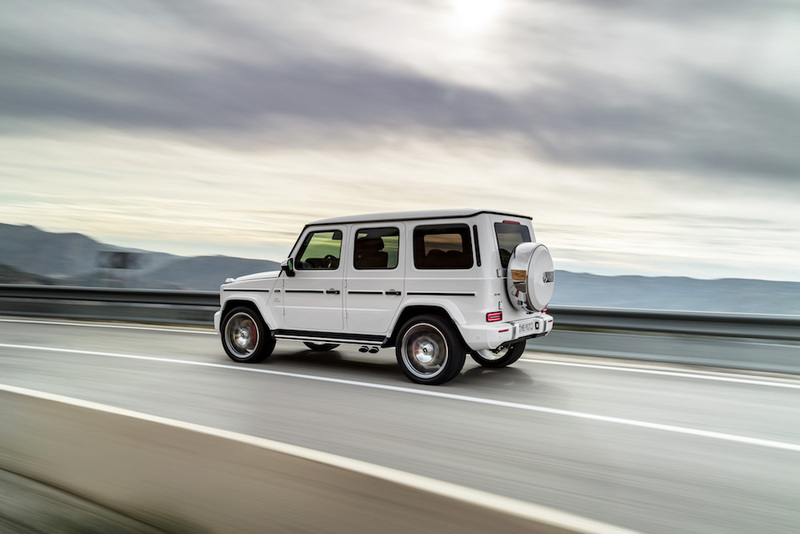 Residents of Beverly Hills and Calabasas, California will be happy to know that the AMG version of the new G-Class will sport model-specific bumpers, air inlets, multi-beam headlights, LED taillights, and a swanky new front grille for socioeconomic status purposes. The 2019 Mercedes-AMG G63 will make its official world debut at the 2018 Geneva Motor Show on March 6.